Ponder, dream and imagine possibilities first this month; action picks up from the 10th onwards as the vital and invigorating forces of Spring pick up momentum. Desires for variety and experimentation possess you as Venus visits your neighbourhood from the 11th onwards. The New Moon in Aries on the 17th provides a springboard for decisive action and the entry of the Sun into Buddha-like Taurus on the 20th should provide some calm ground for gentle and rooted progress. 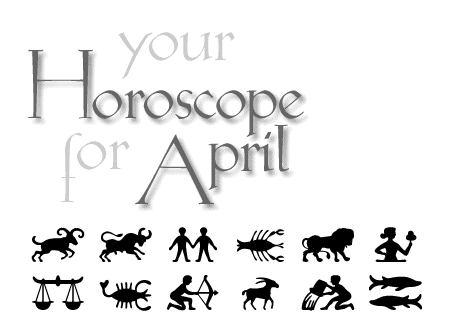 Gemini horoscope the month of April 2007. By Tofino astrologer Karedwyn Bird for Tofino Time Magazine.